One of the more indelible images of the ‘90s is Jay Kay, leader of Jamiroquai, dancing around moving floors and furniture with Fred Astaire-like flourishes in the music video for “Virtual Insanity.” It made a star of out him (and his hat) while pushing London’s homegrown funk and acid jazz scenes to the forefront. At the same time, Jamiroquai would get caught up in the massive shakeups that befell the music industry. Just as “Virtual Insanity” was receiving hosannas at the VMAs in 1997, the first iterations of Napster were heralding a distribution revolution that would cripple the relevance of institutions like MTV. While they remained stars in their native England, landing at or near the top of the charts with each album, here in the States, the group faced declining record sales and an inability to keep their cultural relevance. It doesn’t help that the time between albums for the group has been getting longer and longer. Their latest effort Automaton arrives in the wake of their biggest hiatus yet: it’s been a full seven years since the release of their last album Rock Dust Light Star. But one of the most curious aspects of Jamiroquai’s later oeuvre is that the same unfortunate set of stakes that produced the floundering style experiments of the 2000s has yielded the band’s finest effort in 20 years. 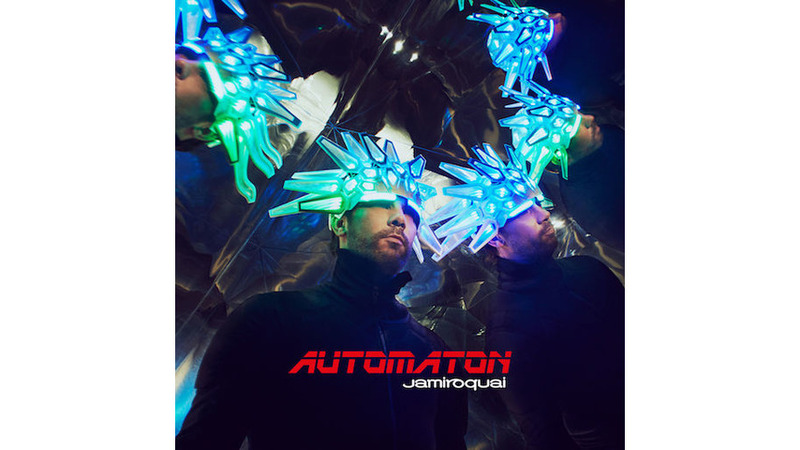 Automaton is a pop/funk/acid jazz/disco/proto-house opus that succeeds in discounting the band’s growing pains within the confines of both fame and pop music. “Hot Property” also features stylistic nods to house music within a slick pastiche of disparate elements, including Super Mario-era synths pitched into a maudlin grain and the creep of a Rick James bassline, accented with riffs guitarist Rob Harris managed to borrow from the Minneapolis Sound. Perhaps it’s appropriate then that the strongest representation of this impulse comes in the form of the music video for Automaton’s titular single, which renders the existential dread that coursed through Virtual Insanity inchoate; now, we have reason to believe that some of the promise of the new millennium was empty, its interconnectedness looking and feeling more like a cage as time goes by. The internet made its mark on Jamiroquai, on acid jazz, on the record industry itself. In the clip, we see a familiar sight: Jay Kay strapped into a chair, positioned in front of a matrix of screens running through a seizure-inducing volley of images. The image isn’t subtle, and the message isn’t new. At video’s end, he finds one last remnant of a forgotten past: a headdress like the one he himself wore some years ago, the sheen of the metal undone by time. When a pair of futuristic drones approaches him, spotlights blazing, he holds it up above his head. The gesture’s purpose depends on what kind of world you think Jamiroquai inhabits. Maybe he’s offering it for inspection. But I’d like to think he’s found an amulet.